It has never been really clear how "Cyborg" has been said to be a spin-off or a sequel to "Masters of the Universe". In an in-depth interview to the Spanish magazine La Cosa in 2005, director Albert Pyun explained it all and here's a translation. Thanks to Mighty McT for providing the info! Cyborg was shot using sets from the unfinished "Masters of the Universe 2". Where you ever attached to that project? What do you remember about shooting "Cyborg" and working with Van Damme? "Cyborg" was a product of what could have been a career shifting period of my life. 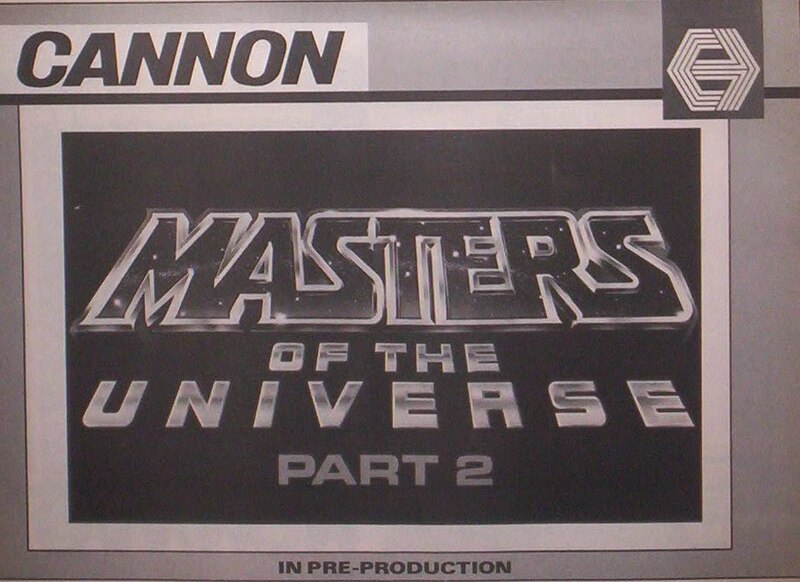 I knew that Cannon had the rights to "Spider-Man" and sequel rights to "Masters of the Universe". I also knew that the "Spider-Man" rights were about to expire. I proposed to Menahem Golan and Yoram Globus that I make both pictures back to back in North Carolina (at De Laurentiis' studio in Wilmington). Cannon agreed. And I cast both pictures. I can't remember who we cast for Peter Parker, but big wave surfer Laird Hamilton was cast as He-Man (replacing Dolph Lundgren). Brooklyn sets for "Spider-Man" were built on the Wilmington stages and I had a number of creative discussions with Stan Lee and Joe Calamari of Marvel. I had wanted to use the Black Spidey costume, but this was vetoed. The script was based on the original story only. The budget was my largest at $6 million. "Masters of the Unverse 2" was based on my story. Sets and costumes were built. The film was fully cast. Mattel Toys had a great many approvals and it was a trying process getting everything okayed by the corporate giant. It had a budget of $4.5 million. The concept was to shoot 2 weeks of "Spider-Man" first. The section of Peter Parker's story before he was bitten. Then we would shoot 6 weeks of "Masters 2". The actor cast to play Parker would undergo a streneuous 8 week workout regimen supervised by a fitness professor at UCLA, Dr. Eric Sternlicht to build size and muscle mass. After shooting "Masters 2" we would resume shooting "Spider-Man". Two weeks away from shooting, it was discovered that Cannon had bounced the rights check to Marvel, canceling the deal and it was discovered that Mattel was owed a large rights payment as well. With Cannon in deep financial straights, the negotiations with Marvel and Mattel fell apart! Remember this was 1988 and the junk bond market which had fueled Cannon's rise had collapsed. Having spent well over $2 million on sets, costumes, and prep, Cannon was desperate to find away to recoup their spend. I suggested we do a film that could utilize as much of what had been built and prepped and that would cost very little in addition. I wrote a first draft of what became "Cyborg" over a weekend and brought in a young actor - who wanted to be a screenwriter - to do polishes. His name was Don Michael Paul and he has gone on to write and direct "Half Past Dead" and Harley Davidson and the "Marlboro Man". I was interested in Chuck Norris to star as he was under contract to Cannon. Instead Menahem suggested a Belgian kickboxer they had just starred in "Bloodsport". That's how Van Damme became the lead. His accent was so thick, that we had to change the character from an over the hill ex-Army Ranger to what the Gibson character became. It pretty much gutted the character arc. What I remember most from the film was exhaustion. The turnabout from prepping to shoot "Spider-Man" and "Masters 2" to writing and shooting "Cyborg" was punishing. We had to figure out ways to use what had been built and created for two different films in a short period of time. As I recall, the budget on "Cyborg" was less than $500,000 including Van Damme's salary. It was shot in 24 days of principal. All in all, my expectations were quite low for the film's success given the mad circumstances. Wow. As the usual movie consumer you can't imagine the frenzy behind the scenes... thanks for the insight! Is the new film actually a remake, or just a totally new film in its own right, like the new Punisher film was? Two things I didn't like about the first MOTU were that it was set largely on Earth and not Eternia, and that it was too much like Star Wars (heck, they even had their own Stormtroopers!) I hope the new film stays truer to the source material by taking place on Eternia and including more characters from the cartoons, or at least those characters who could actually be realistically depicted in a film. Cannon had intended to produce Spider-Man at their studio in Elstree, UK and shoot the exteriors in Tel-Aviv, Israel. Rumours at the time suggested that Dolph Lundgren would play the Green Goblin. It was also said that Spider-Man creator Stan Lee would play J. Jonah Jameson-nuff said! Planet Origo: What were your ideas for the planned Masters of the Universe sequel you were going to do for Cannon? I found on the net this: "Albert Pyun directs the sequel, which takes the superhero to Earth disguised as a football quarterback" - LA Times. This makes sense. MOTU 2 was mostly on earth. A lot of it in Office buildings, etc. Nothing plot-wise about Cyborg has anything to do with MOTU 2. Some years ago one of the forum members here (Doc Omega???) got hold of a script titled "Masters of the Universe II: Revenge of the Beast" which seemed to be authentic and followed a rather ridiculous plot involving Skeletor emerging from beneath Grayskull and returning to Earth, where he was incarnated into the body of a Yuppie businessmen and He-Man had to follow him to Earth to stop him continuing his evil in human form. I do remember a scene reviewed by Dr Omega, If I remeber correctly when He-man and Gwildor return to Earth in order to find Skeletor (who now inhabits the body of a CEO of an evil company. A good roll for Vince McMahon ) they befriend a group of teenagers who take He-man to a local disco and try to teach him how to dance. According to Albert Pyun's commentary on CYBORG (who gives a sheds some light on MASTERS 2 / SIPDER-MAN), Cannon associated Dolph with one of the reasons the original MASTERS "failed". It also seems from his story points that his version would have had very little to do with MASTERS apart from the characters names. Another interesting point that's rarely mentioned in the Cannon downfall, is the financial crash in October 1987. Electric Boogaloo: The Wild, Untold Story of Cannon Films. To be shot in North Carolina back-to-back with SPIDER-MAN by director Albert Pyun, this lower-budget sequel was to star big wave surfer, Laird Hamilton, as He-Man. Unfortunately, the junk bond market collapsed leaving Cannon in deep financial trouble - and owing a large rights payment to Mattel. The sets and props already produced were recycled and utilized in Pyun's CYBORG (1989). Seeing what his ideas for his projects are now, I feel this would have been a gigantic mess and really no continuity from the MOTU universe (while unlike other fans I think the original film is still pretty faithfull)... Not mentioning the low budget and lack of Laid Hamilton's charisma (you can see him in NORTH SHORE or THE DESCENDENTS: he can't go past surfer dudes). Only thing the article gets wrong is stating that RED SCORPION was developed by Cannon. Not the case to my knowledge. There's also costumes and props from the first MOTU, like Fender's costume is actually Blade's.